It was a fun week of packages! from Cheryl Sleboda of Muppin.com. It fits my daughter's personality perfectly! She has dreams of becoming a Costume Designer. 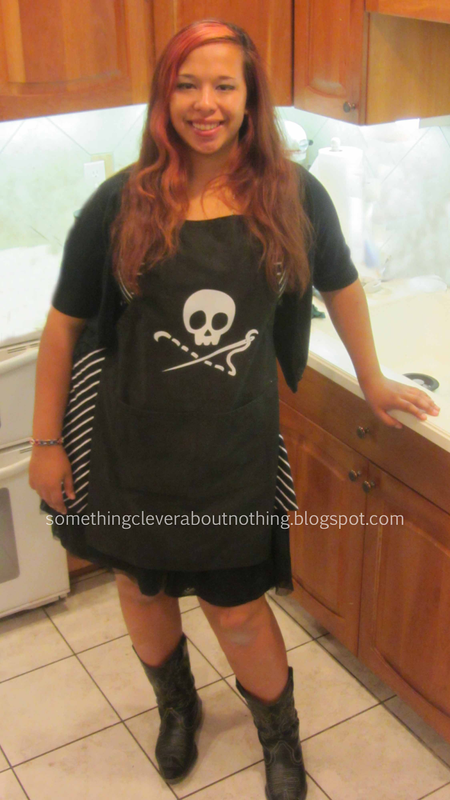 The pockets in the apron make it perfect for the sewing room. 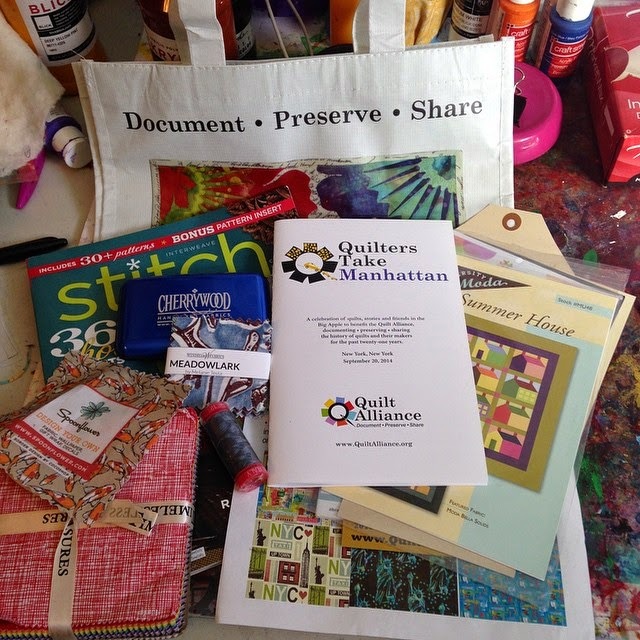 I purchased the at-home ticket to Quilters Take Manhattan which included this fun bag of goodies! Included in the bag were a business card holder, thread, fabric, magazines, and coupons! Lots of fun fodder. I also put a package IN the mail filled with three pincushions made with Lynn Krawczyk's new fabric line but I can't show even a glimpse until after Market at the end of the month. 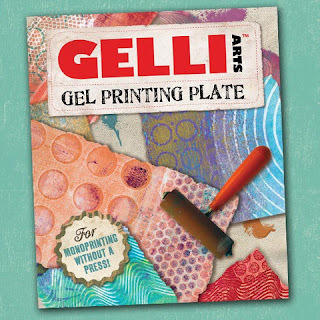 I am also working with some new stencils from Artistcellar (more on those next week) and with a stencil I created to make some postcards for Festival Pet Postcard Project. Proceeds from the sale of all the post cards will benefit Friends For Life, a no kill shelter in the Houston area. I hope you are making time to play too!